The traditional Italian pizza in 5 minutes! 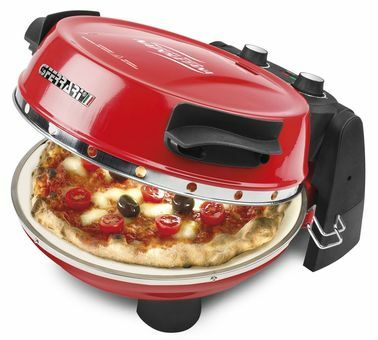 The fragrance and taste are enhanced with the unique pizza-oven Pizzeria Snack NAPOLETANA. Thanks to the high cooking temperatures (up to 400°C) this oven is able to cook pizza without drying the sauce, guaranteeing the same result of the best pizzerias in Naples. NAPOLETANA, thanks to the EXCLUSIVE cooking system with 2 refractory stone plates, be used to prepare excellent traditional tigelle emiliane or piadine romagnole and for cooking toasts, cakes, pies and delicious sandwiches.